Recently I’ve been reading some articles written by Tony Hayter about the high priest of dry fly purism, Frederic Halford. The following passage in particular piqued my interest. “Once upon a time there was a Jewish businessman called Fred Hyam. He made his pile, as did many others, from the “rag trade”. He worked hard, and in his spare time fished the Thames for bream, barbel and pike. Then he became interested in fly fishing, and started to fish the Test and Itchen in Hampshire. He wasn’t very good (despite a lot of practice, he never became a great angler) but he was determined and gradually achieved relative success. Fred became very interested in dry-fly fishing. He met people who knew a lot about it, listened and learnt. He wrote a book or two. He became the president of the most important club in the country (The Fly Fishers Club of London). Suddenly, his advice became gospel. It was the way to fish chalk streams. There was no other. By this time, Fred had curiously changed his surname from Hyam to Halford”. Reading between the lines it appears that Halford originally was persuaded to take up fly fishing by business acquaintances. No doubt his successful background in business, coupled with drive and vision, endeared him to members of the Fly Fishers Club and this lead to his appointment as president. 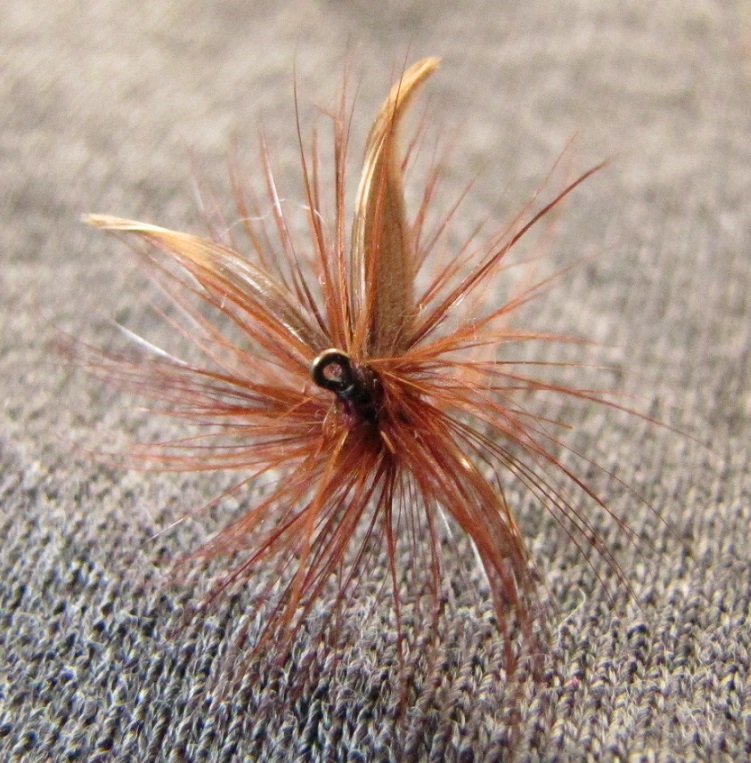 It is likely that because he was surrounded by dry fly afficiandos his views became more entrenched as time progressed. He probably changed his name due to the increase in anti-Semitic sentiment at the time but we will never know for sure. It appears to me that his personality may of been obsessive – compulsive. This would explain why he went to such lengths to develop a system of fishing the dry fly which optimised his chances of success. A formulaic process that was supposedly fool proof. It was the only way to fish the dry fly on chalk streams. 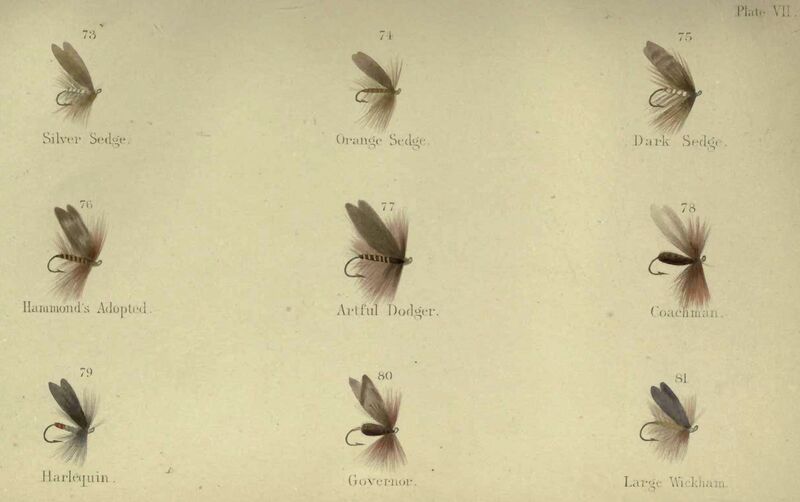 Halford even went to all the trouble in his later years to publish a book which contained a definitive list of the 33 dry flies that covered every fishing situation likely to be encountered. It was as if he believed that fishing was a mathematical equation which could be solved easily once you factored in the variables. Skues and other innovative anglers ultimately challenged the thinking behind Halford’s methods and exposed the flaws but it was too late as a generation of fly fishermen had become well and truly indoctrinated. Halford apparently never was able to fish the wet fly with any degree of skill and this is why he proclaimed “that it was not only of no use, it was bad for the trout, the fishery and other anglers. An angler who does not consider the feelings and welfare of his fellow rods is likely to become unpopular in any age. In the late Victorian era it was worse: he would not be considered a gentleman”. It is this sort of inflammatory statement which characterised the thinking of dry fly fisherman in the late 19th century and ended up fuelling the bigotry which has historically been associated with the different aspects of fly fishing in the UK. What many people don’t know is that Halford was actually Skues proposer when he joined The Fly Fishers Club of London. This means that at one point in time they were close acquaintances. Skues probably was in awe of Halford at the start of their relationship, given his standing and air of authority. However as time passed Skues likely saw that he was not a particularly good angler and did not adapt well to what was going on around him when on the riverbank. This ultimately lead to diminished respect. When Halford then challenged Skues views on sub-surface sight nymph fishing conflict was inevitable. The vitriol which flowed between them is well documented and legendary. Halford never really was interested in fishing tackle and was happy using the heavy English made fly rods (320 grams) that were commonplace back in the day. Skues however led the light rod revolution (160 grams or less) with Leonard rods made in USA. The major UK rod producer, Hardy, enlisted Halford’s help to challenge Skues assertions and named rods in his honour. This also lead to a great deal of acrimony but eventually lighter rods won out. It is interesting that Halford eventually followed suit and that Hardy made a 190 gram rod branded with the Halford name. 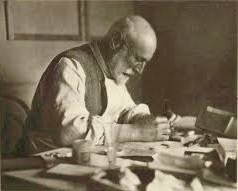 Frederic Halford (aka Fred Hyam) was a fascinating character who changed the face of chalk stream fly fishing for ever. His methods were adopted universally, even in the Antipodes. As anglers we should celebrate his contribution to the sport, irrespective of whether we agree with his teachings or slavish insistence that dry fly fishing was the only gentlemanly way to catch trout.